Move over old Spock – old Captain Kirk could be headed to the planned "Star Trek" sequel and his formidable foe Khan might also be back for more galactic tyranny. In a recent interview with MTV News, director J.J. Abrams said he's open to bringing back both of these beloved "Trek" players. "The fun of this [new alternate 'Trek' reality] is that the destiny of these characters is in their hands — it's not constrained by the pre-existing films or TV series," J.J. explained. "Believe me, whether it's William Shatner or Khan … it would be ridiculous to not be open to those ideas." The "Trek" reboot established an alternate timeline, which allows J.J. and writers Roberto Orci and Alex Kurtzman freedom to deviate from the established "Trek" history. VIEW THE PHOTOS: From Movie Prince To Starship Captain: Hot Shots Of Chris Pine! "One of the reasons we wanted to break with the original 'Star Trek' timeline was it felt restrictive," he explained. "The idea, now that we are in an independent timeline, allows us to use any of the ingredients from the past — or come up with brand-new ones — to make potential stories." 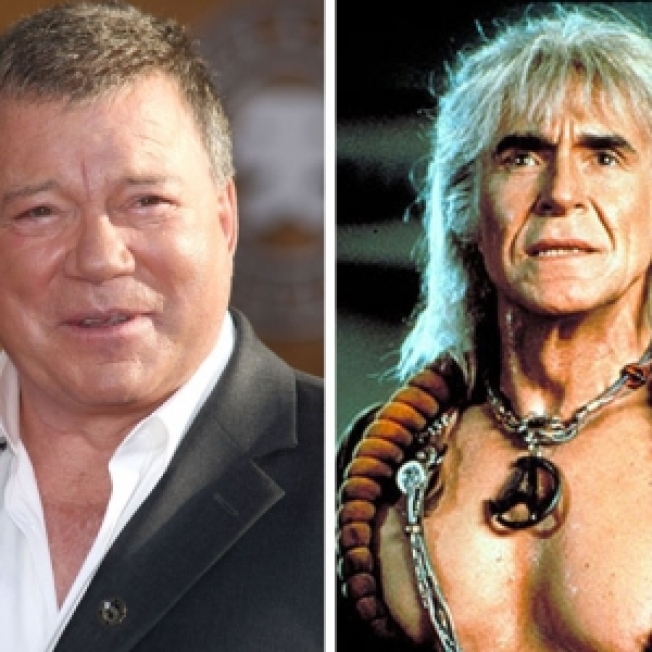 Last time fans saw Kirk's nemesis Kahn at the end of 1982's "Star Trek: The Wrath of Khan," the superhuman tyrant was exiled on Ceti Alpha V., but this could all change in new series. "It'll be fun to hear what Alex and Bob are thinking about Khan," J.J. said. "The fun of this timeline is arguing that different stories, with the same characters, could be equally if not more compelling than what's been told before." Adding, "[Khan and Kirk] exist — and while their history may not be exactly as people are familiar with, I would argue that a person's character is what it is…certain people are destined to cross paths and come together, and Khan is out there … even if he doesn't have the same issues." As for the inclusion of Shatner as an older Captain Kirk, which was considered for the reboot but ultimately nixed, J.J. told MTV News, "I wouldn't rule out anything." "The point of creating this independent timeline is to not have the restrictions we had coming into this one. And one of those restrictions was that Kirk was dead," he explained. But before Trekkers & Trekkies get worked up in an intergalactic frenzy, the director cautioned fans. "But this all assumes that there's another story that's going to be told." he noted. "We're all still coming down from making this movie." PLAY IT NOW: 'Star Trek's' Chris Pine & Access' Scott 'Movie' Mantz: An Interview To Remember!